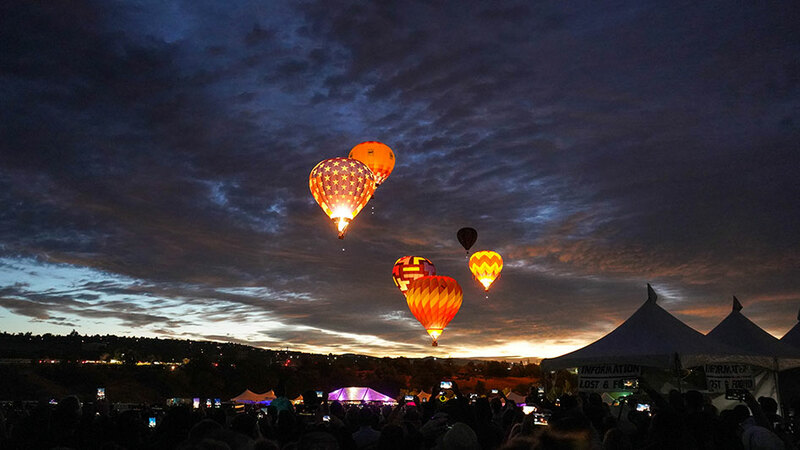 Its the world’s largest free hot-air balloon festival! 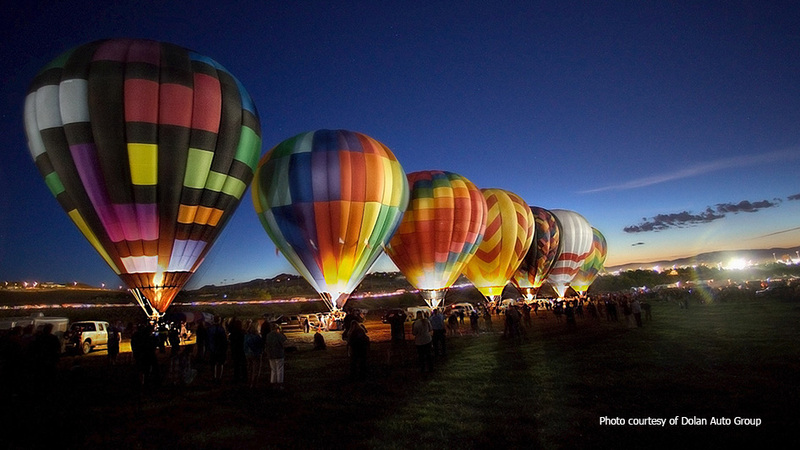 Glow Show and Dawn Patrol: An amazing predawn spectacle as balloons twinkle against the dark sky. 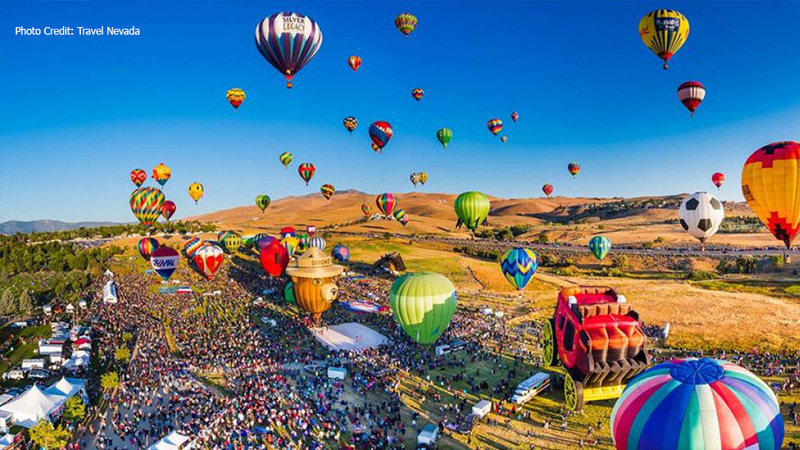 Mass Ascension: Its an incredible site when over 80 colorful balloons fill the sky. A Kodak moment! Special-Shaped balloons: Whimsical special shaped balloons are always a favorite among fans. 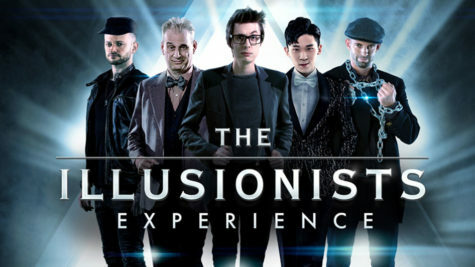 Who will make a special appearance at the 2019 festival? See photos of the announced balloons, available starting mid-July. SUPER-Glow Show: On Friday morning, the the glow show goes BIG as 25-30 glowing balloons are choreographed to music. Cloud 9 VIP Tent: A comfortable and convenient way to enjoy the show. The Cloud 9 VIP Club offers individuals and businesses the opportunity to have a front-row seat to all the excitement that goes on during the event. Daily memberships include catered breakfast, parking, merchandise credit, champagne and other goodies. For detailed information on where to park in or around Rancho San Rafael Park, click here. Handicapped parking is available for vehicles with a handicap placard or license plate; enter at any gate to the Park and you will be directed. 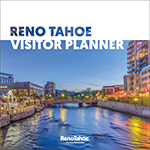 Rancho San Rafael Park is just 1.5 miles north of downtown Reno. If you’re staying, or parking, in downtown Reno, it’s great exercise to walk (note: it is uphill going to the park). There will be paid public parking available at Rancho San Rafael, for a $10 donation to the event. The lots are located on the corner of Sierra Street and McCarran Blvd. as well as on Coleman Street. These lots are a short walking distance from the field but are popular so may fill up quickly. By purchasing an in-the-gate VIP Parking Pass, you will have the closest parking possible at the field. Click here for information or to purchase online. RTC RIDE (public bus transportation) will be offering park & ride service to and from Rancho San Rafael Park on Saturday, Sept. 8 and Sunday, Sept. 9. RTC RIDE has pickup points at Reed High School, Reno-Sparks Convention Center, Lot C (corner of Kietzke and Peckham Lanes) and the RTC 4th Street Station in downtown Reno. 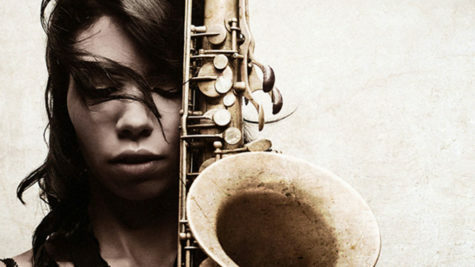 This service is provided from 4 a.m. to 10 a.m. every 30 minutes.. There are fantastic lodging options available. 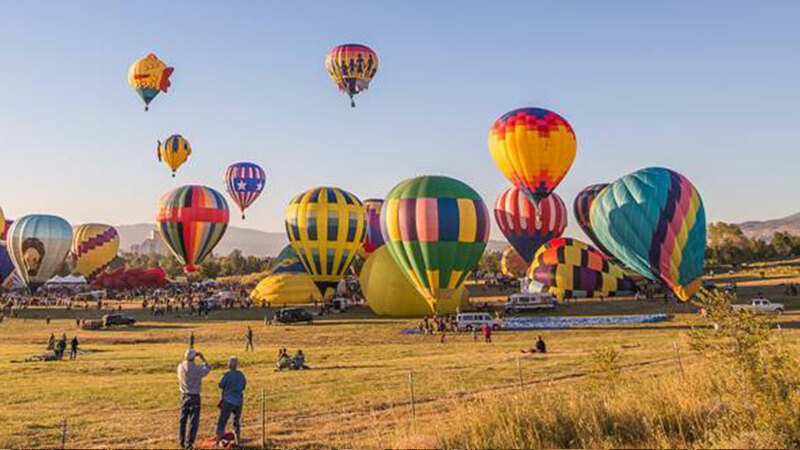 Due to their continued support, The Great Reno Balloon Race remains a free event.